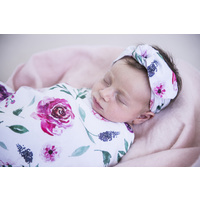 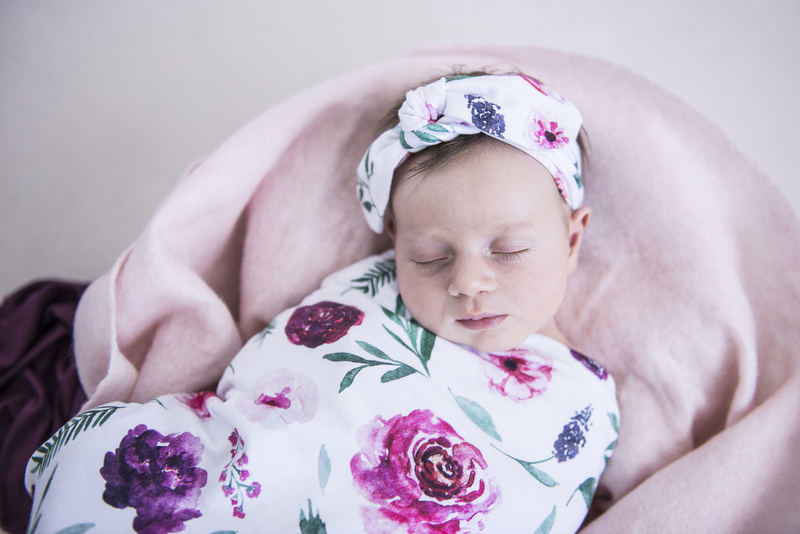 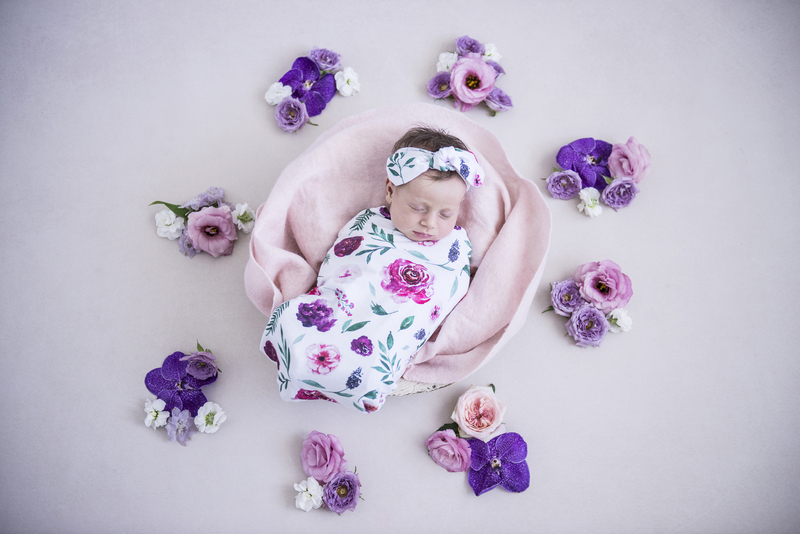 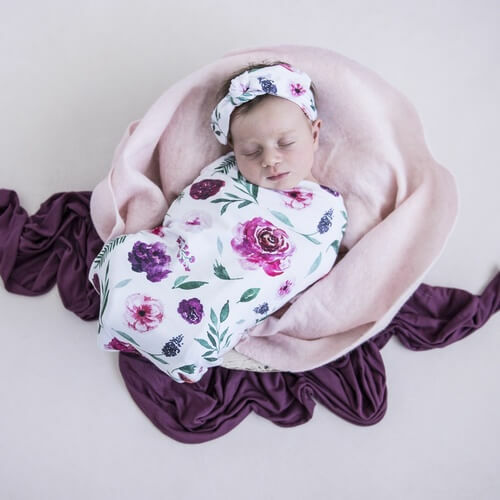 Our Peony Bloom swaddle and topknot is soft and filled with plum, pink and purple peony flowers with gorgeous green foliage. 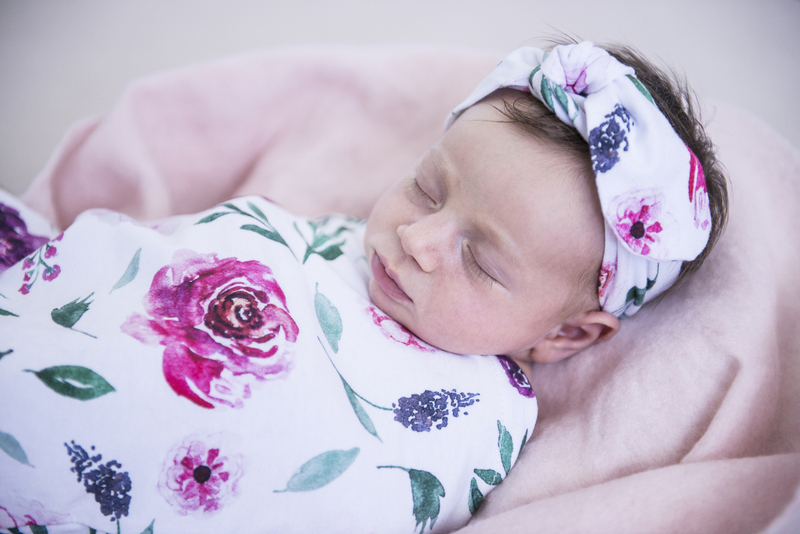 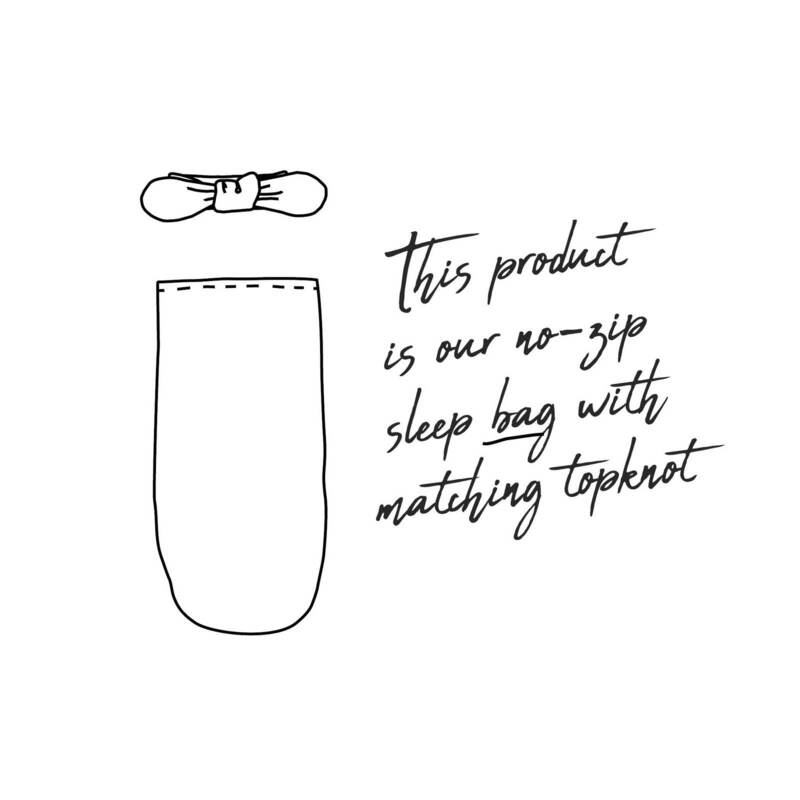 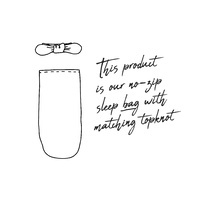 Our Peony Bloom snuggle swaddle sleep sack is soft, breathable and for the most stylish babes. 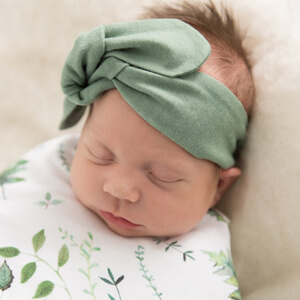 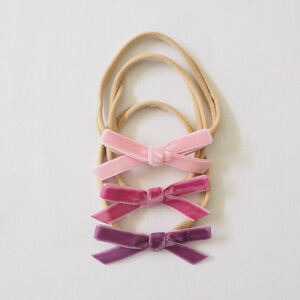 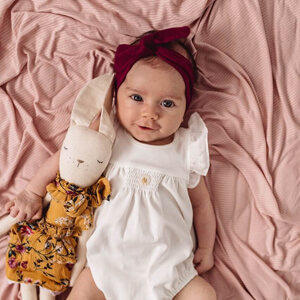 Our snuggle swaddle comes with a matching topknot headband.